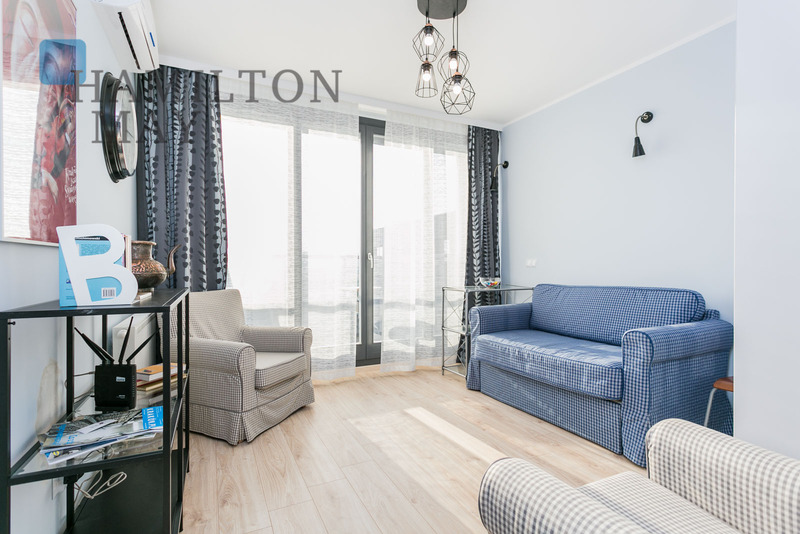 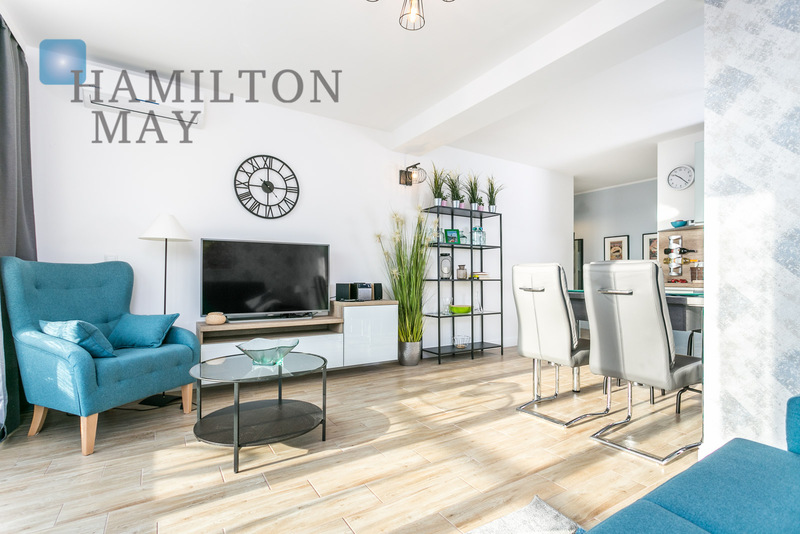 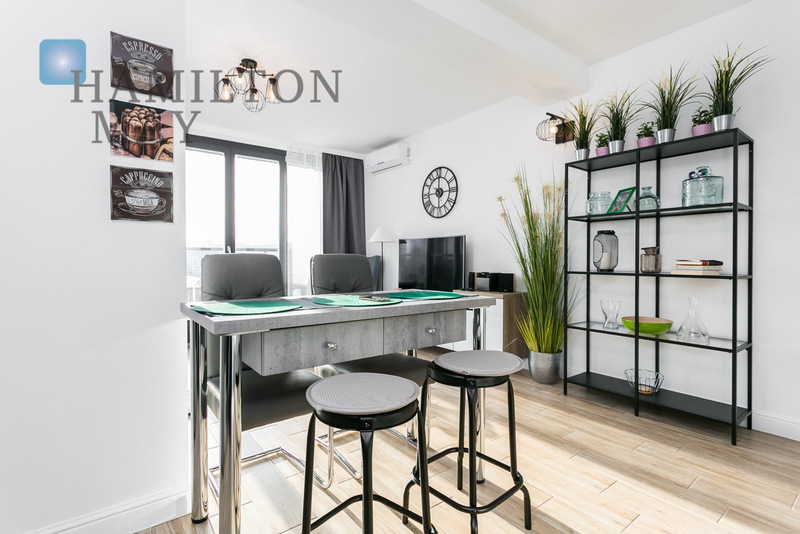 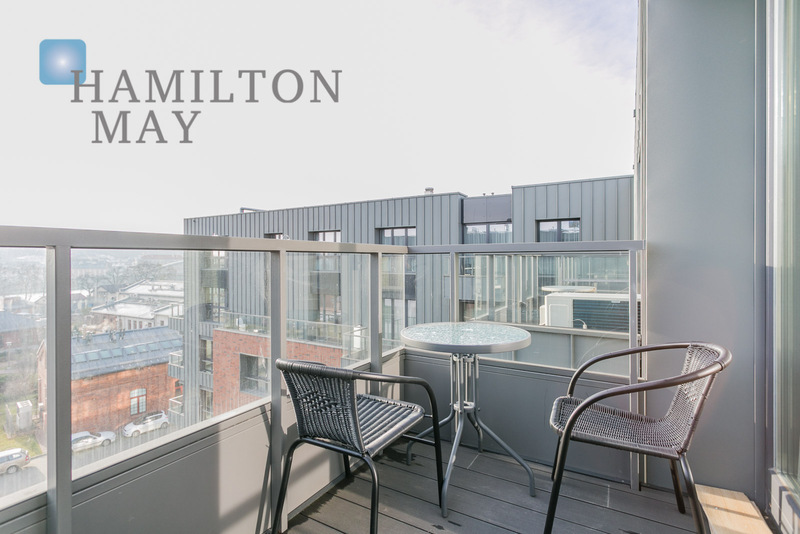 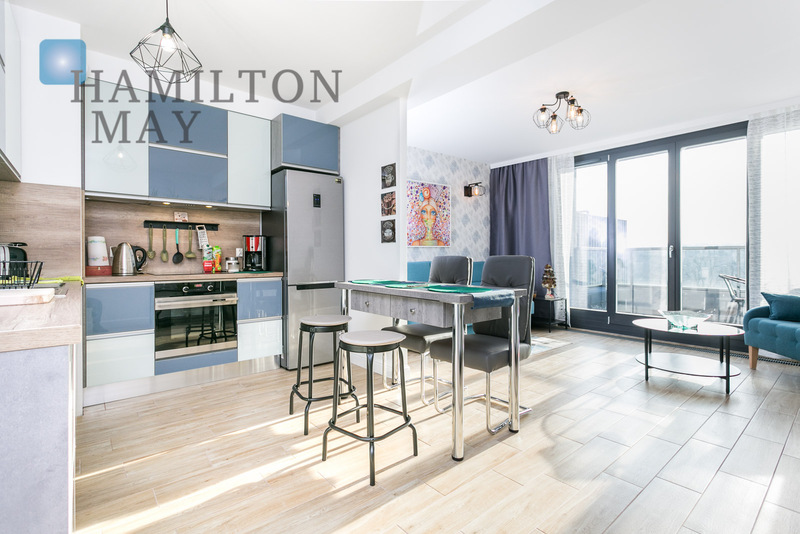 The presented flat consists of a living room with a kitchenette with access to a large balcony and two bedrooms (one with the access to the other balcony) and two full bathrooms (one with a bathtub and the other with a shower) and a hall. 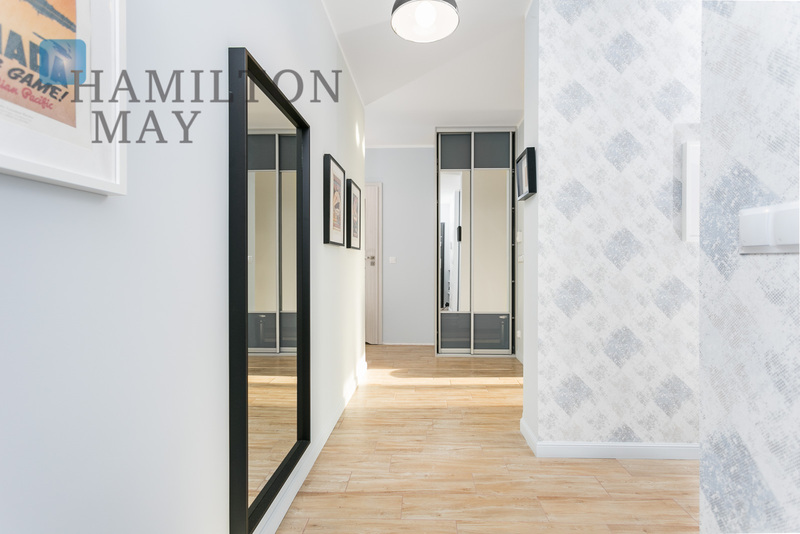 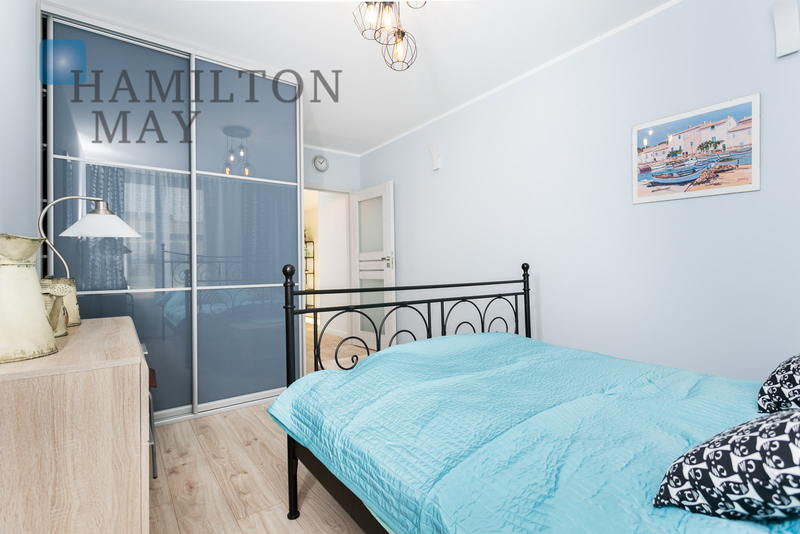 The apartment is new, bright and very elegant, has many built-in wardrobes. 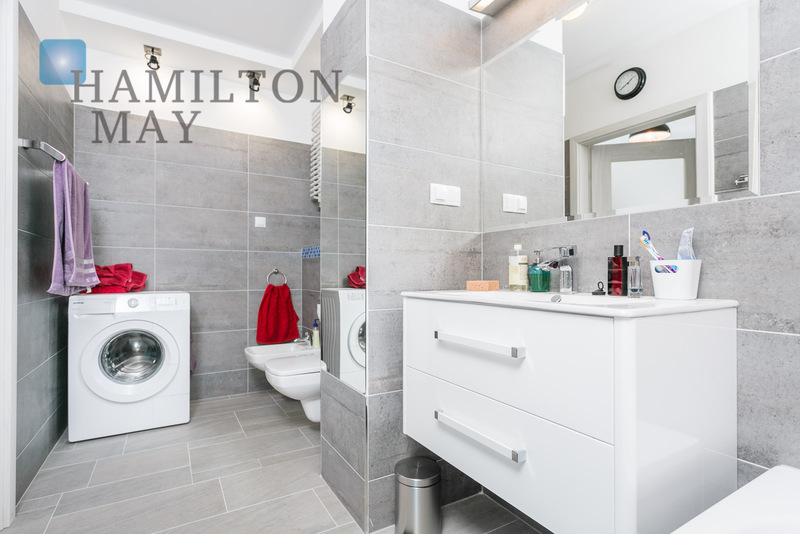 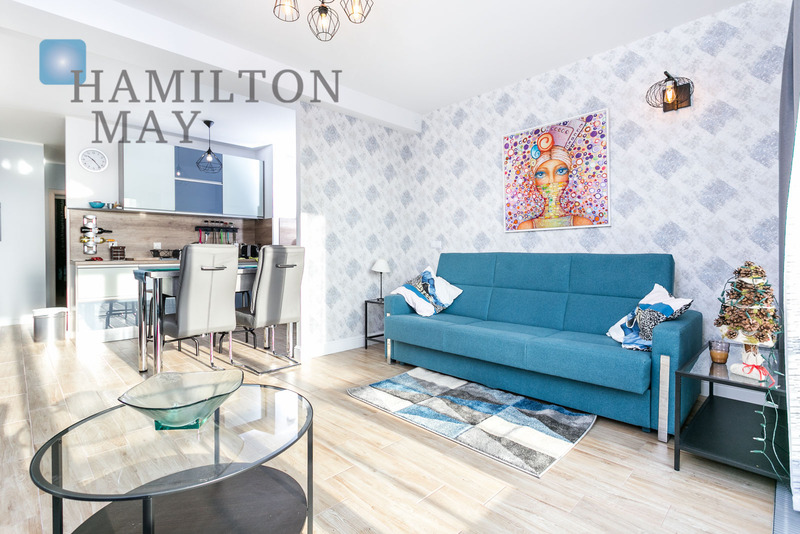 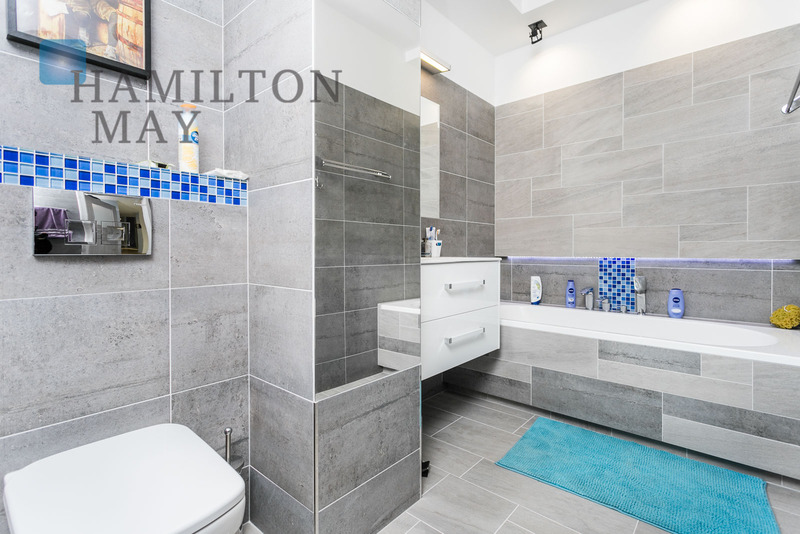 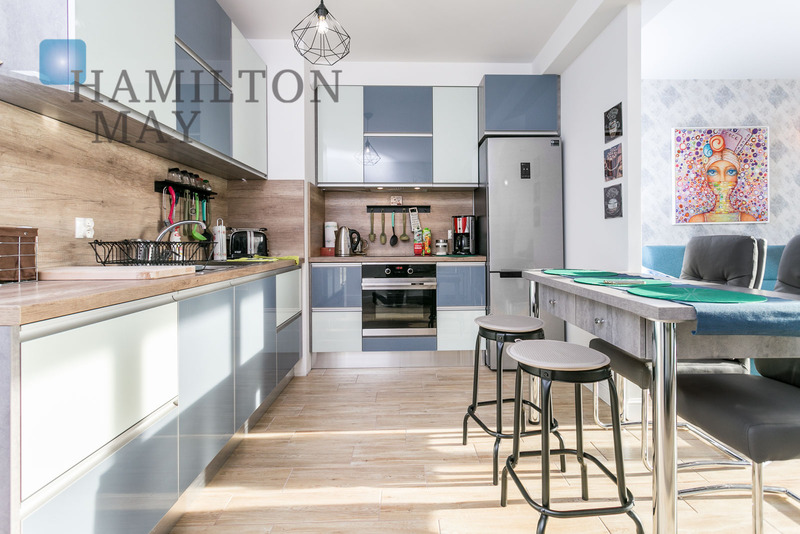 The apartment is fully equipped with high-quality appliances and appliances and has all kitchen utensils plus air-conditioning system in every room - it's ready to move in. 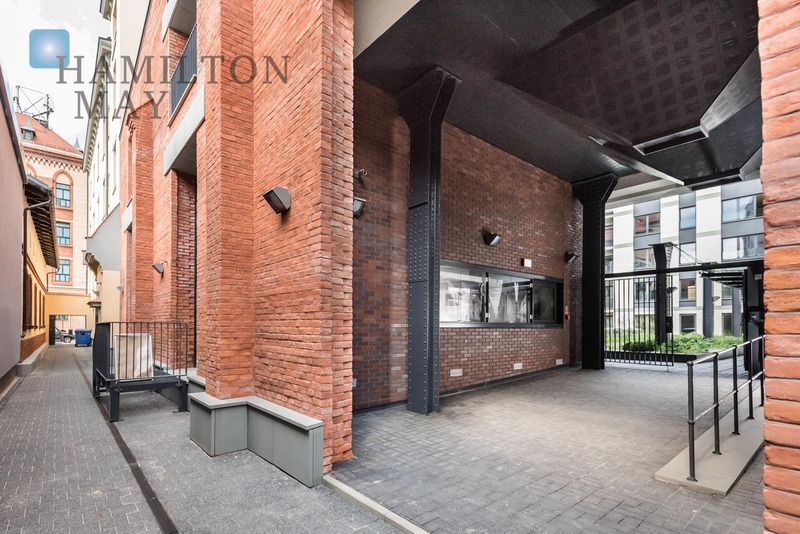 The apartment includes a parking space in the underground garage to which you can directly take the lift. 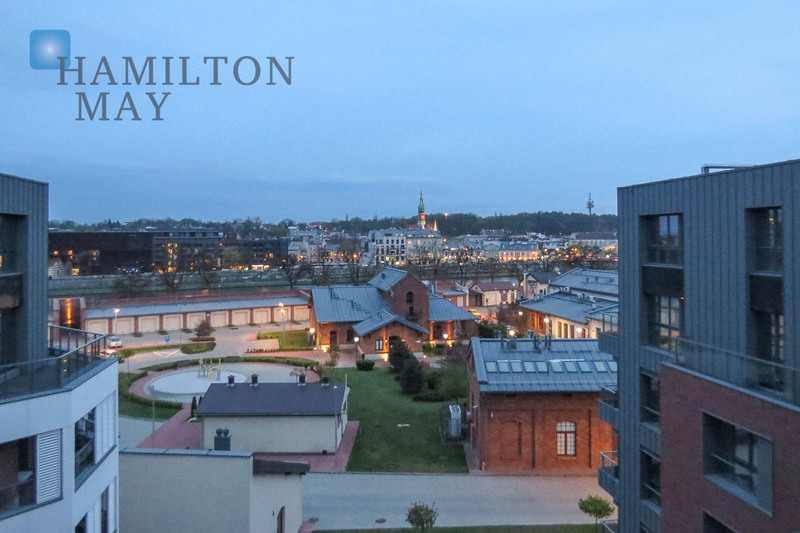 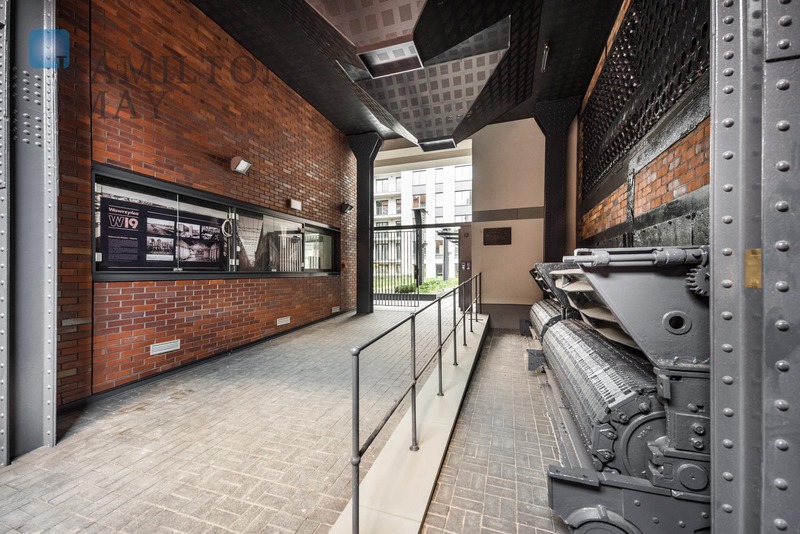 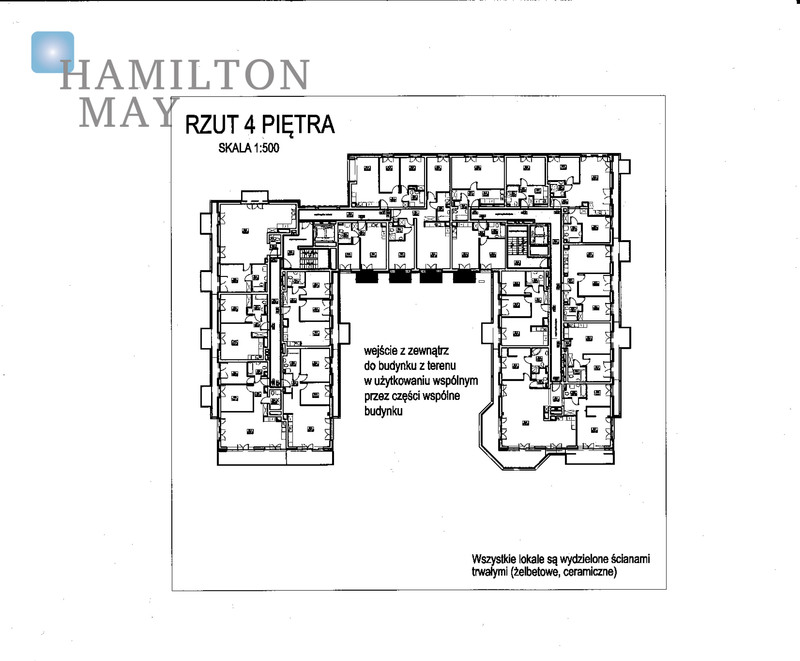 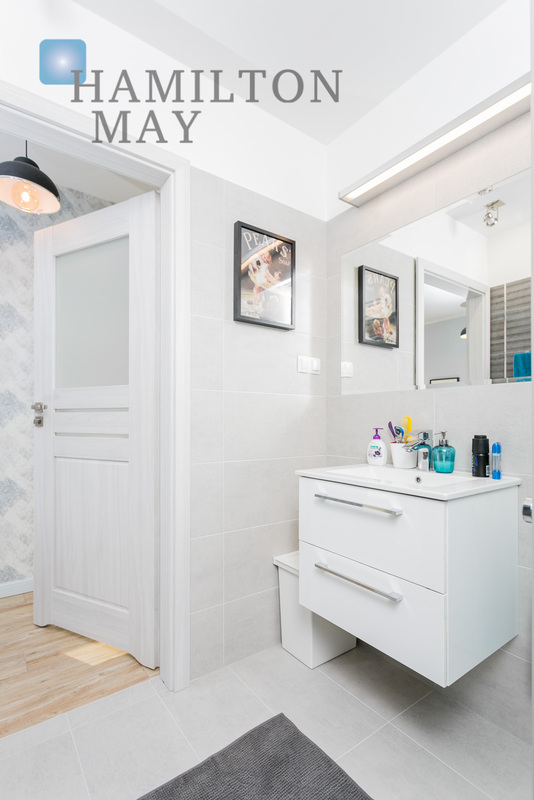 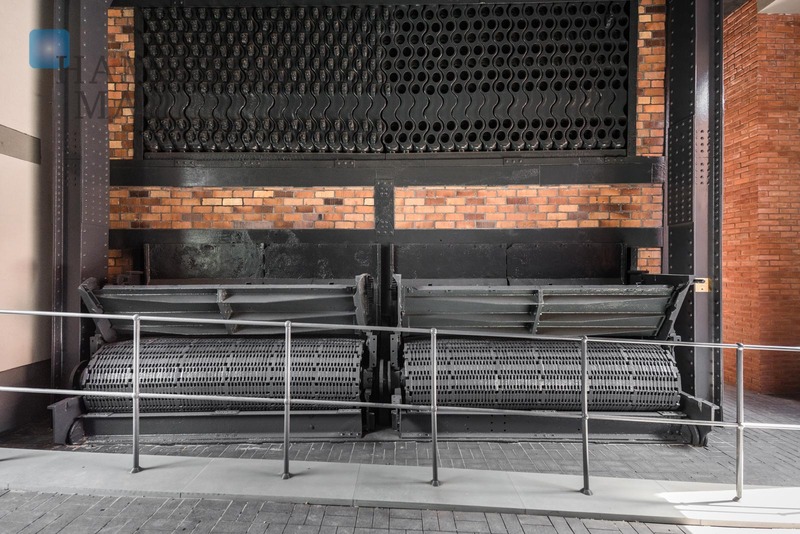 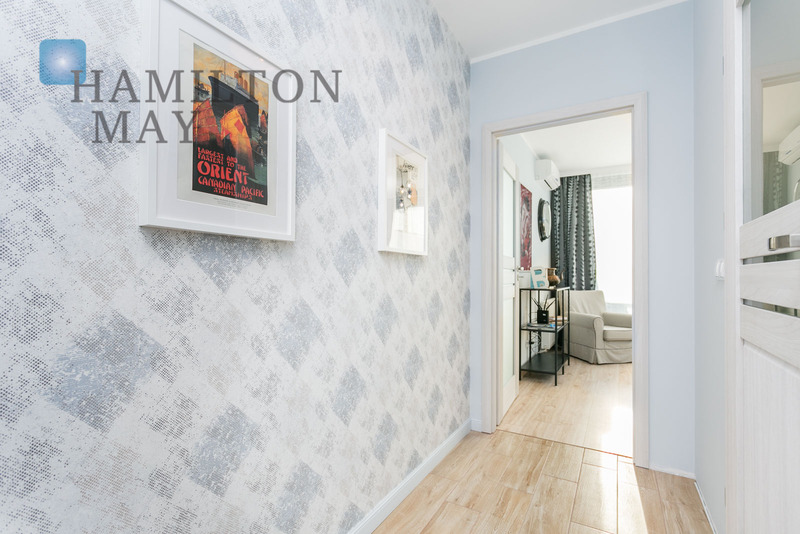 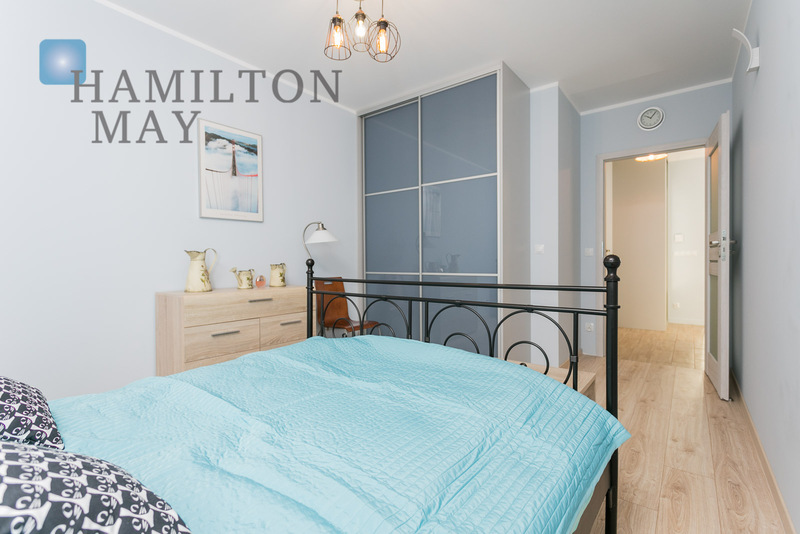 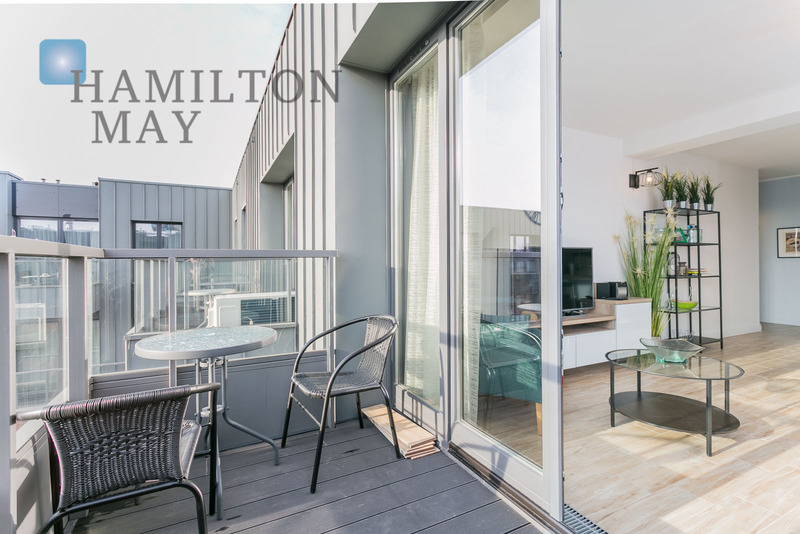 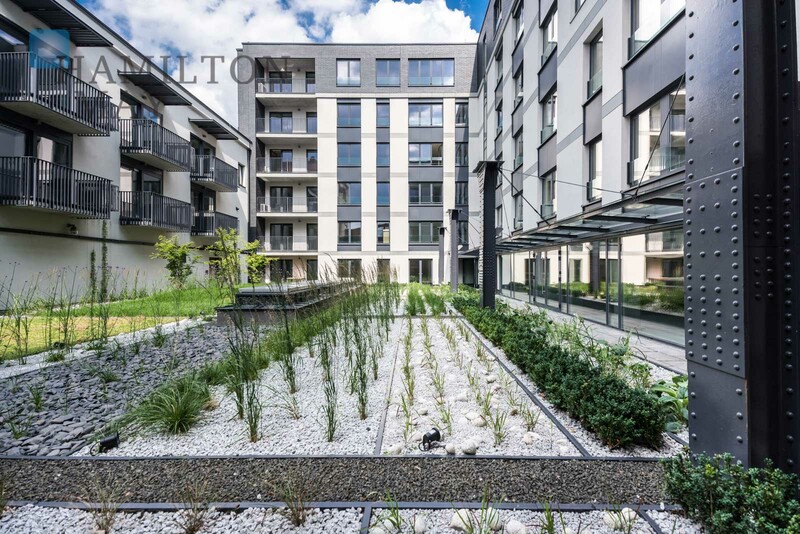 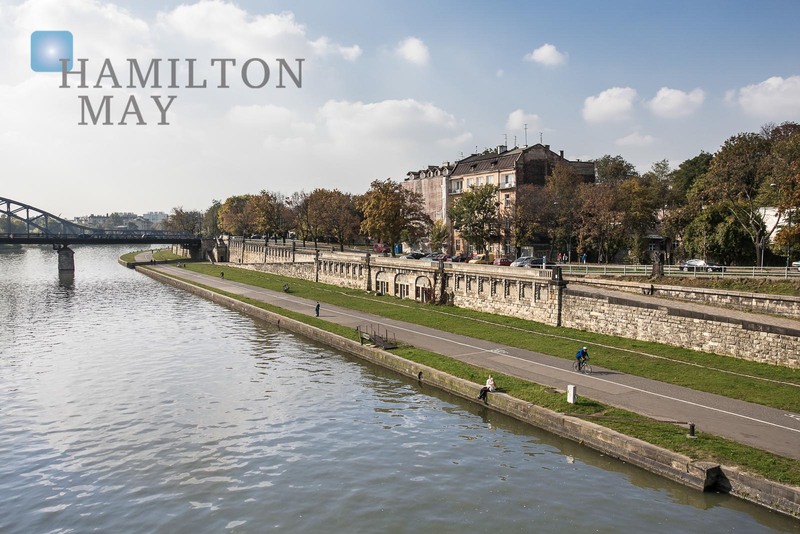 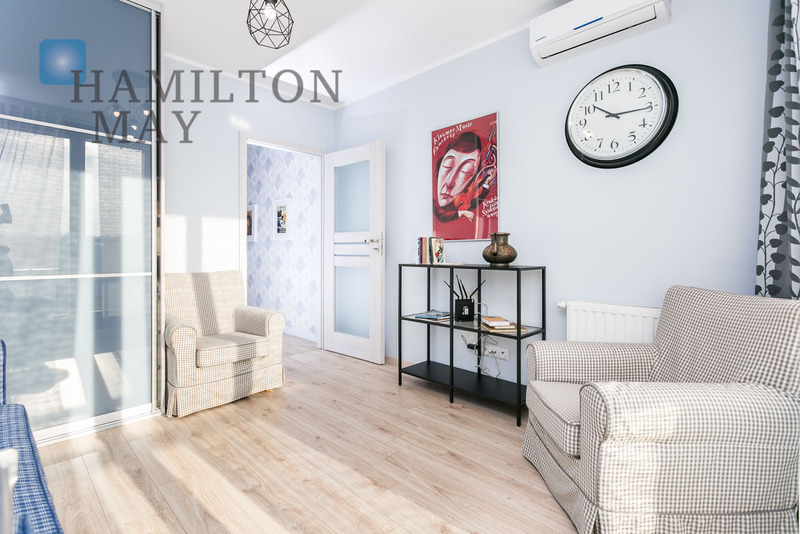 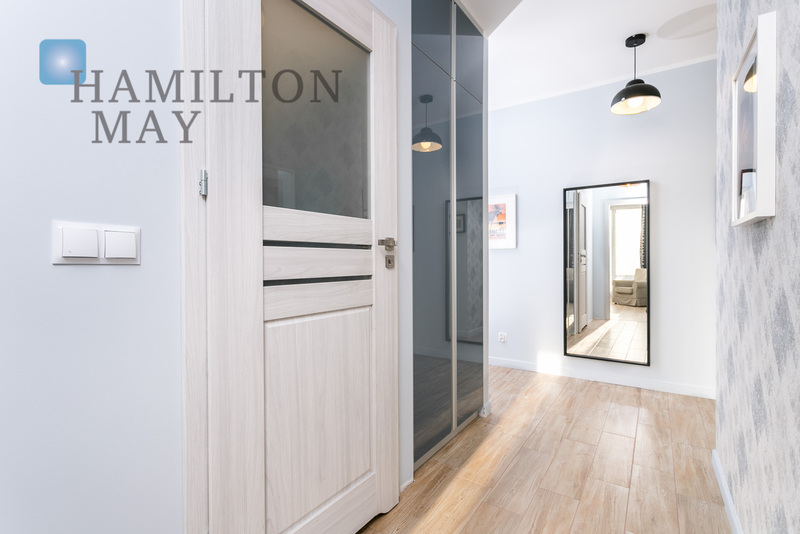 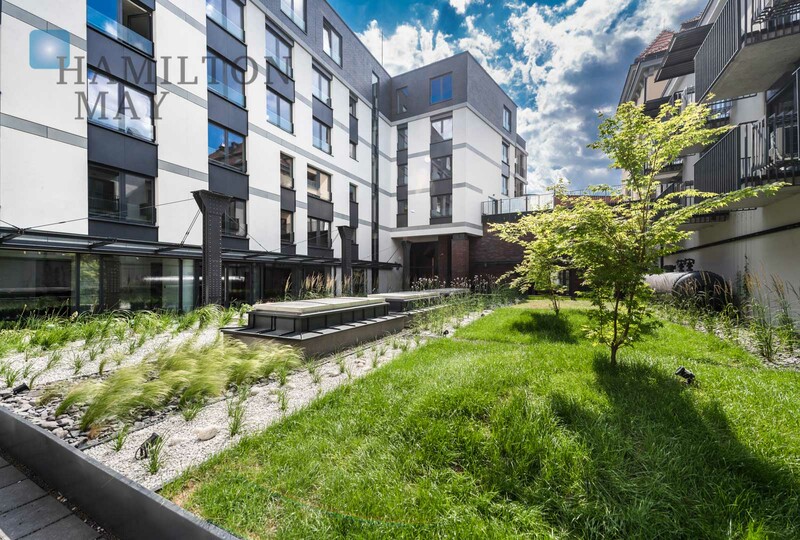 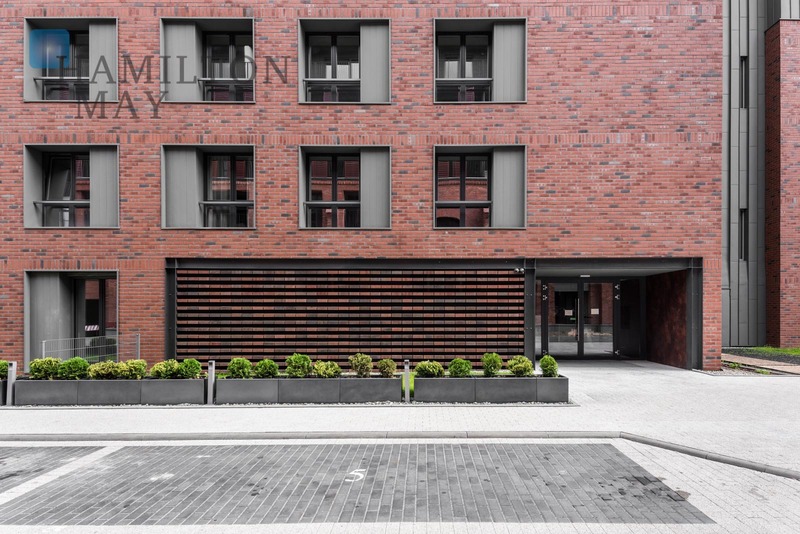 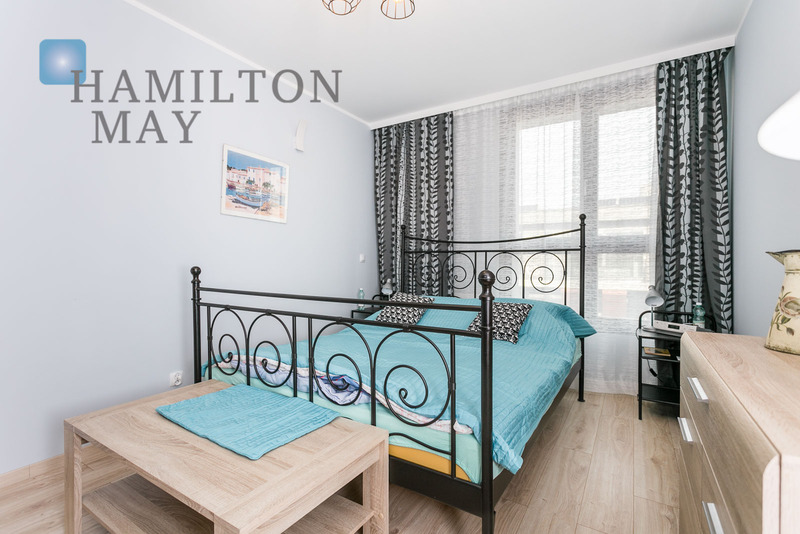 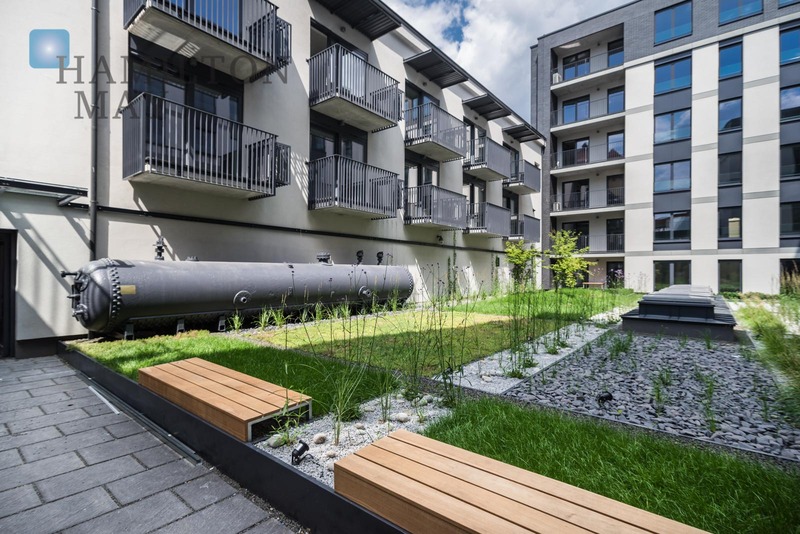 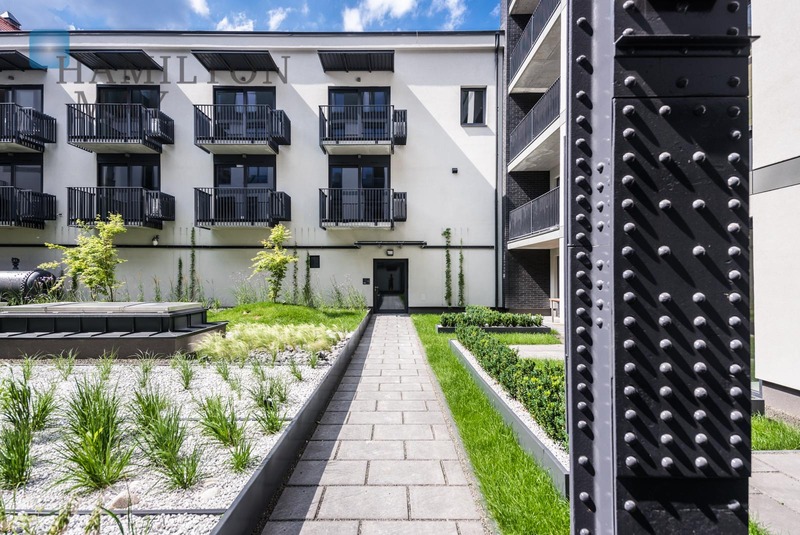 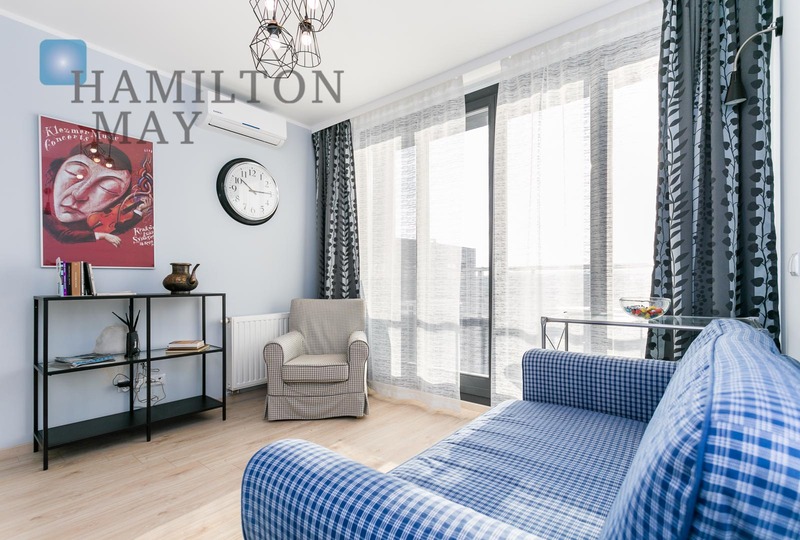 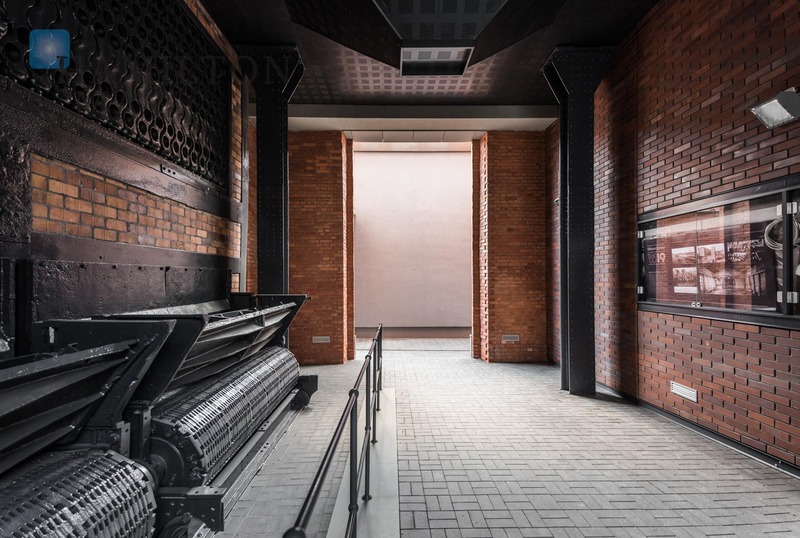 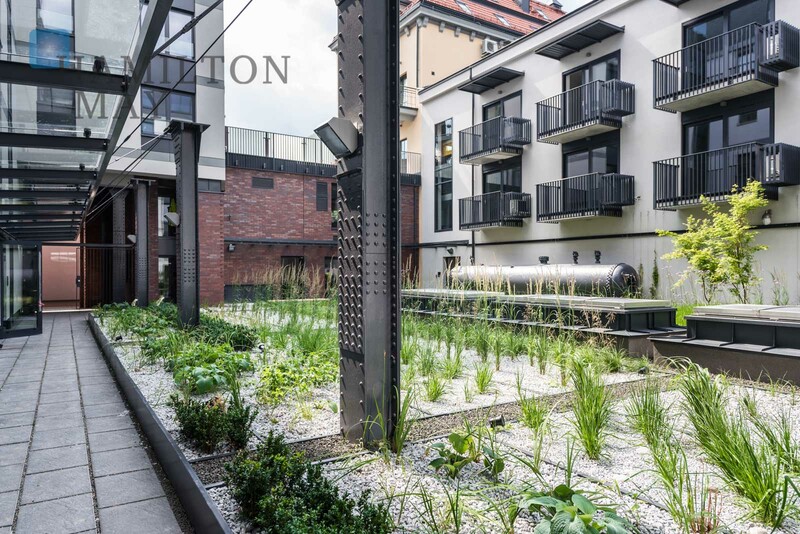 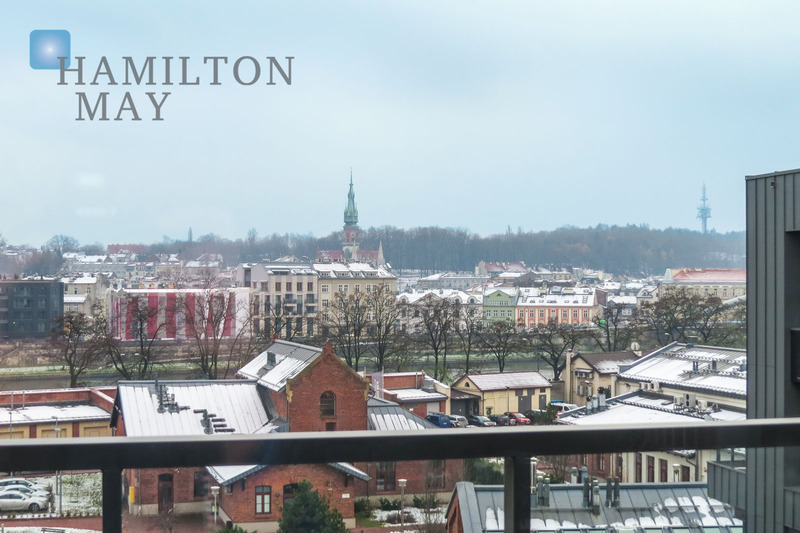 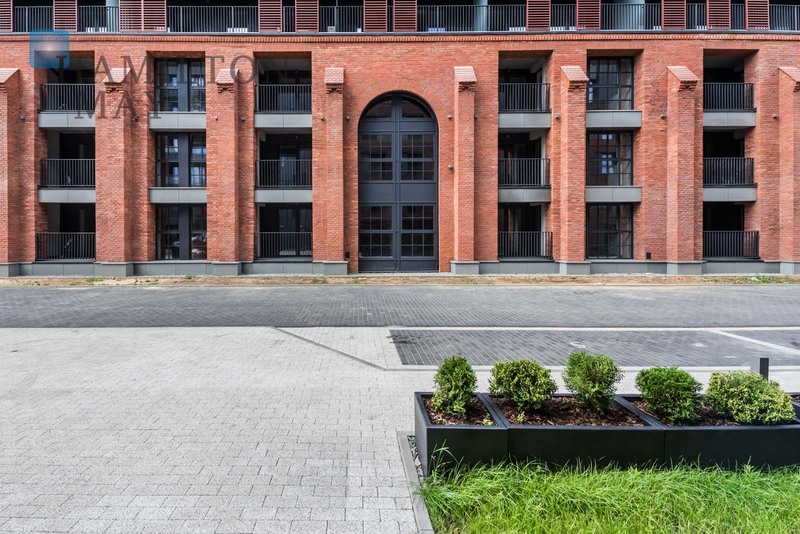 Wawrzyńca 21 is a long-awaited investment located in the heart of Kazimierz, just a short stroll from the Wolnica Square, Nowy Square and the Vistula river. 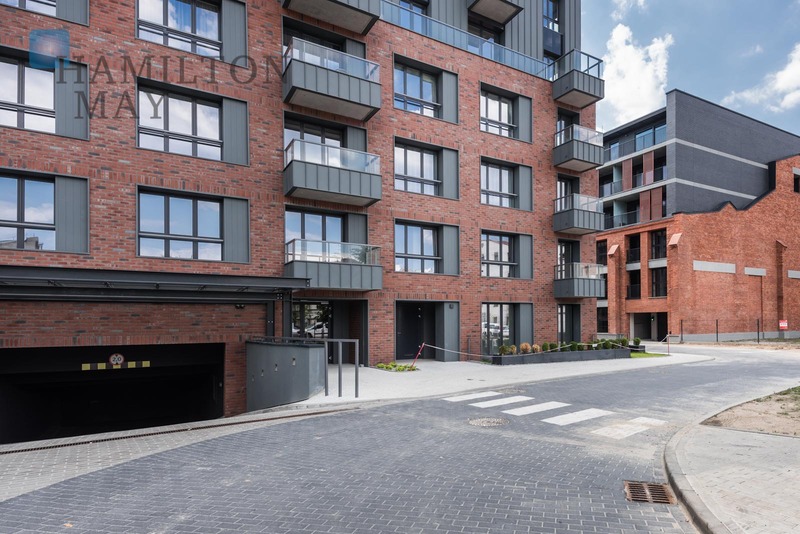 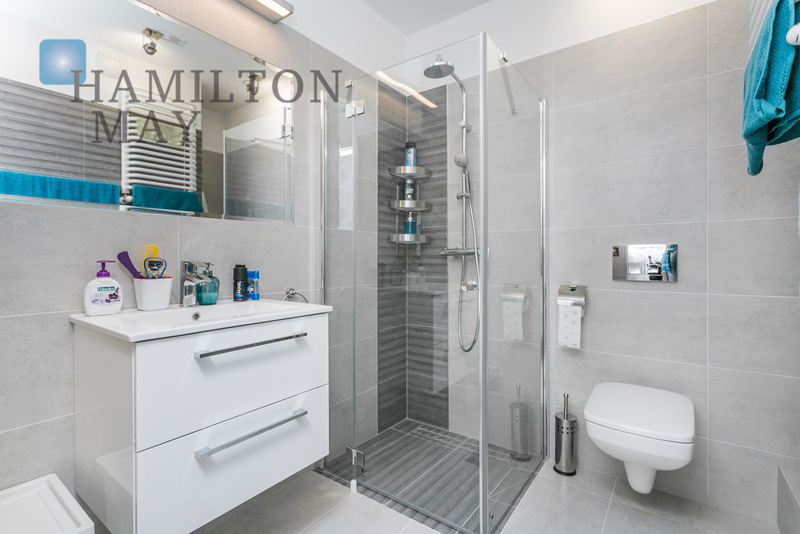 The building was developed using high quality materials - it is fitted with elevators and comes with an underground garage. 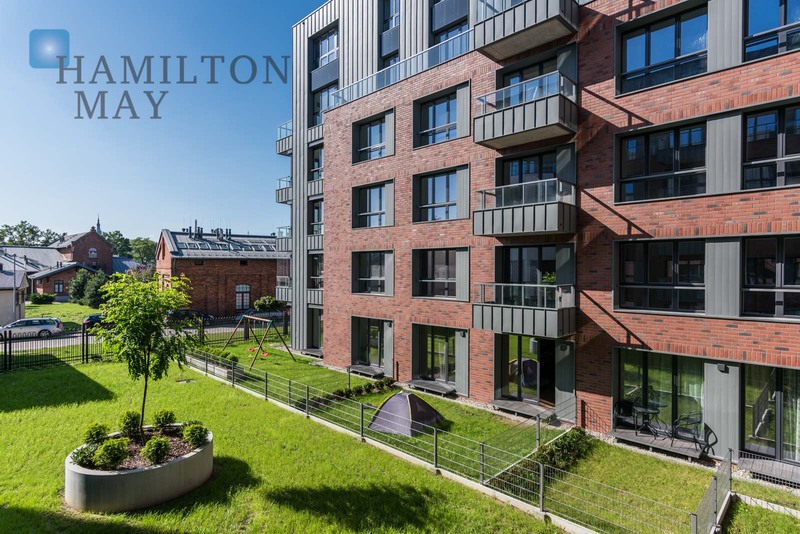 The investment was completed in the first quarter of 2017. 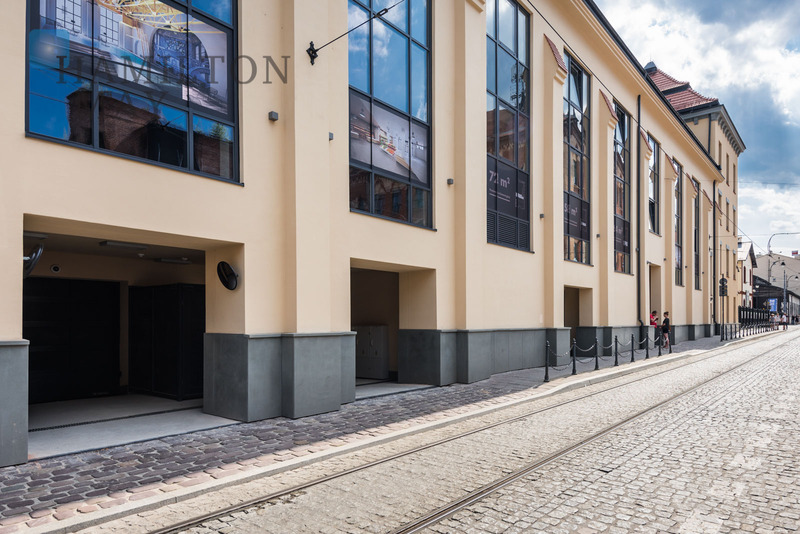 There are many of the Krakow's main tram lines running by just meters from the building. 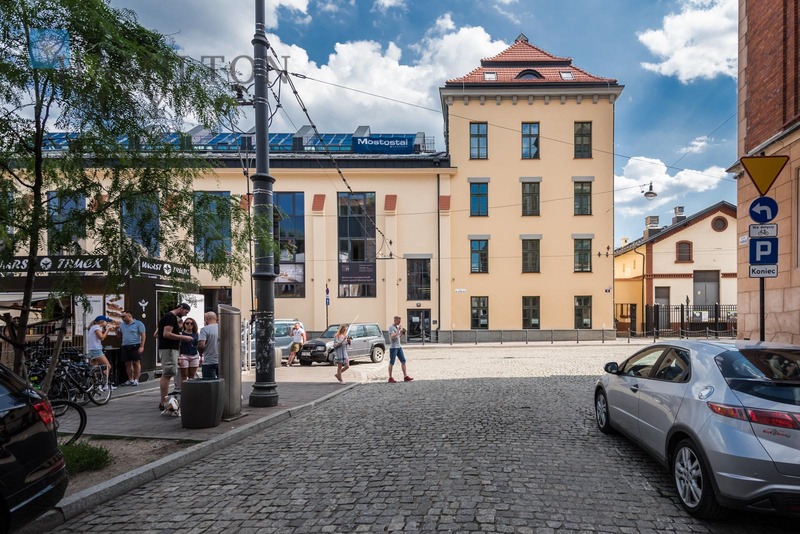 Excellent location in the old Jewish district of Kazimierz - one of the more attractive neighborhoods of Krakow. 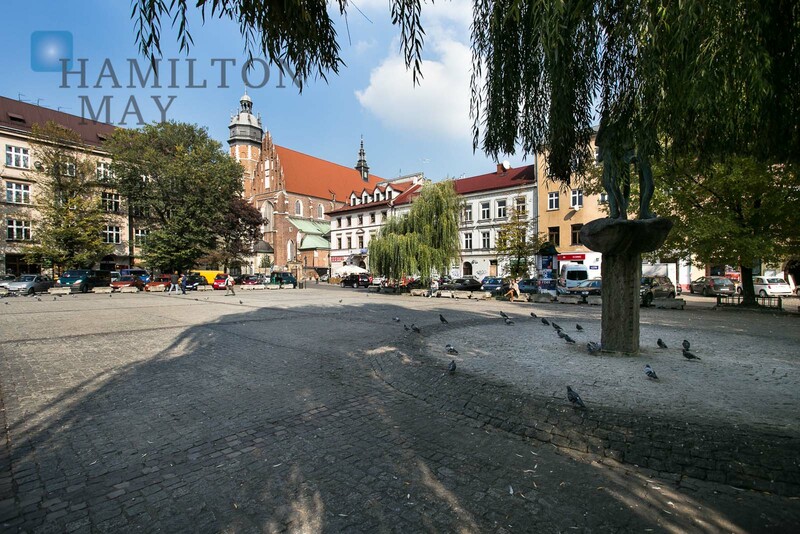 The area offers many tourist attractions, numerous bars and restaurants, shops and other amenities for the locals. 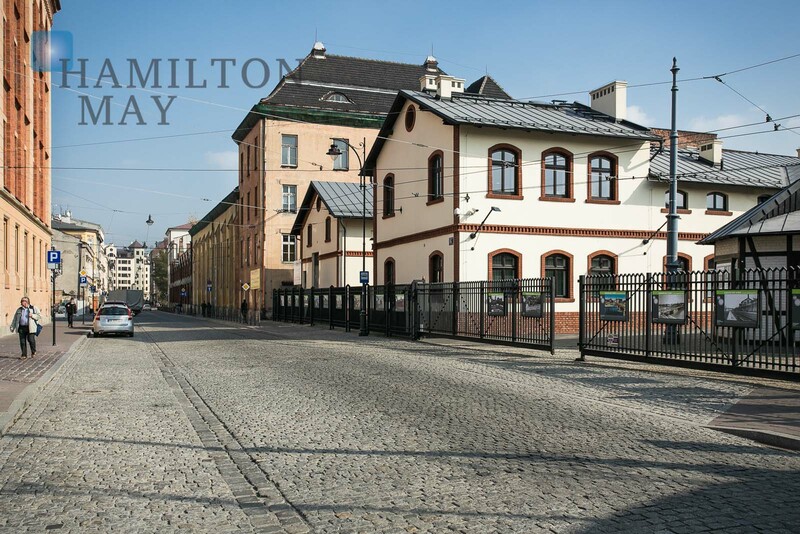 Near the apartment one will easily find many stops of public transportation (buses and trams).